The Louvre, the most visited museum in the world, is doing away with a beloved Parisian institution: free entry on the first Sunday of every month. At least during high season, April to September. While this only adds up to six days of the year, it is seen as a blow by many, and a petition set up by Louvre pour tous (the website, run by Bernard Hasquenoph, that broke the story on Sunday) has garnered over a thousand signatures in a matter of days. As part of a raft of budgetary measures, the decision to scrap free Sundays was taken in November 2013 and announced on Monday 3 February. The Louvre has seen an incredible increase is visitors in recent years: 9.3 million in 2013 compared with 5 million in 2001. Indeed, free Sundays have become a bit of a circus: waiting in line for hours only to be rewarded with a museum experience that is less than satisfactory for the public, staff and artworks. But abolishing free Sundays strikes at the heart of one of the Louvre’s founding principles: culture for all. When the royal collections were claimed as the property of the nation during the Revolution, the museum opened free to the general public and some form of free access has been available most of the time since. Six Sundays a year might not sound like much but coming from France’s most important national museum, many think it’s a slight to the democratisation of culture. Regular free access should be available to the culture inside all museums. Just as free schooling is available to children in most cultures access to knowledge of art, sciences and history should be available to those who cannot afford to pay. 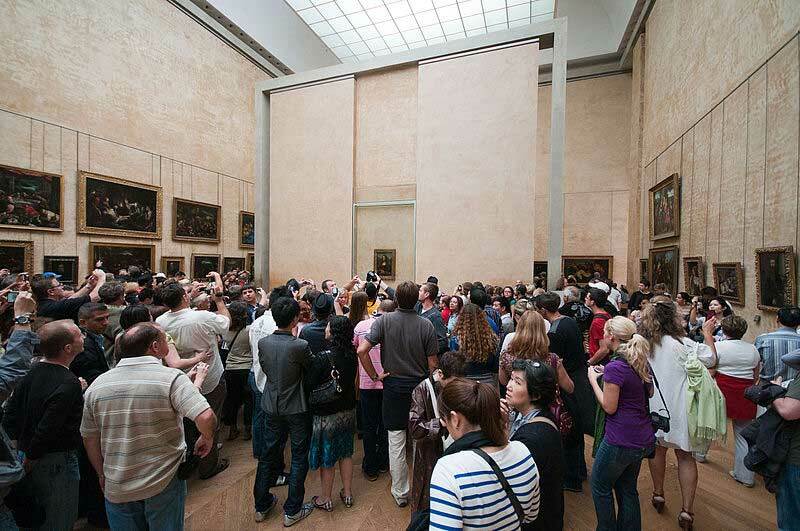 If people stand in line for hours to be able to see the art the Louvre contains it means that it is really important to them and there should be a universal right for people to access the cultural heritage contained in museums. Zola might have been the most socially conscious (read: ‘snobbish’) writer of the 19th century. These passages mark the birth of right-wing art criticism.